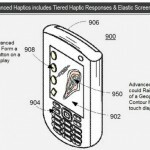 Could Impressive Haptics Touch Screen Launch With Future iOS Devices? [T]oday's surprise invention packs a punch with a wildly intelligent multi-tiered haptics system. The system will actually allow an iDevice display to deform so that it could provide the user with a button, an arrow or even a geological map to physically pop right out of the screen to give it 3D depth. If that wasn't cool enough, Apple's patent discusses a flexible OLED display that could be used for video glasses. Sounds impressive, right? 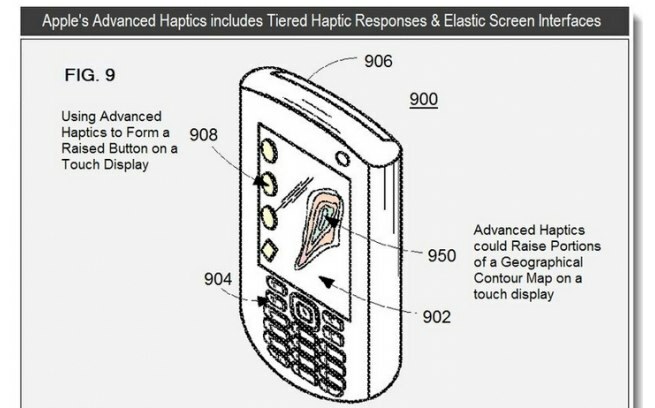 If this patent materializes, our iOS devices will be equipped with something that, currently, is unparalleled. If Apple has been looking for a way to best its own industry leading Retina display, it looks like this patent indeed points towards the RD's successor. You can read all about Apple's multi-tiered haptics system in Patently Apple's original article, which explains every detail of the patent in depth. And we'll be sure to let you know if any more news regarding this exciting, new technology hits the Web.